If you have a Siemens Gigaset phone, then follow these instructions to configure your phone manually. 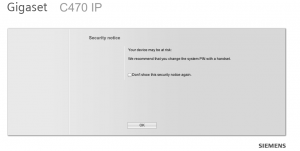 Once your Siemens device is connected to your network browse to http://www.gigaset-config.com and you will see a screen similar to the one below, after 5 seconds you will be transferred to the login screen. If not you must click the link provided. Now enter your system PIN in the box provided. The default is 0000. If your pin is 0000 you will see a security notice click OK. It is recommended you set this to something other than 0000. Please consult the Siemens manual for your device on how to do this. 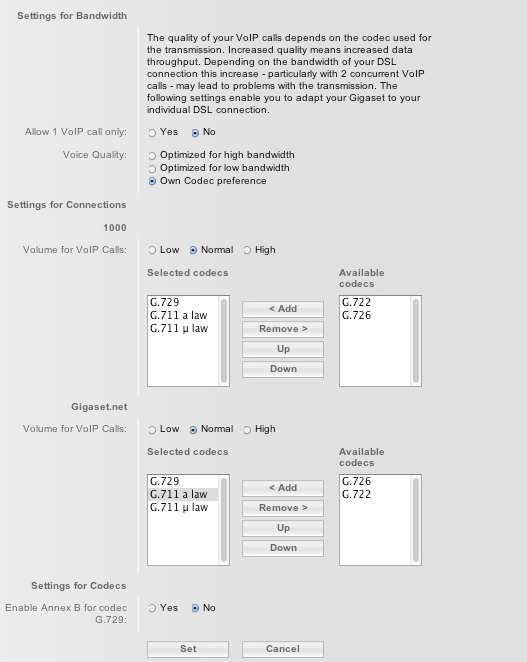 On the provider settings page click the button marked â€œShow Advanced Settingsâ€ and complete the following fields. Authentication Name: This should be the user_id or extension number as per your account notification. Username: This should be the user_id or extension number as per your account notification. Domain: Set this to the SIP domain for the service. Proxy server address: Set this to the SIP domain for the service. Registrar Server: Set this to the SIP domain for the service. From the menu on the left select Audio and set the codec preference for the service you just added as G729, G711 a law, G711 u law and make sure Enable Annex B for codec G729 is set to No. Once completed press Set. From the menu on the left select Number Assignment and make sure the following are set for each handset also known as INT. Phone Number – 000 and select Fixed Line from the drop down. Once completed push Set to save. 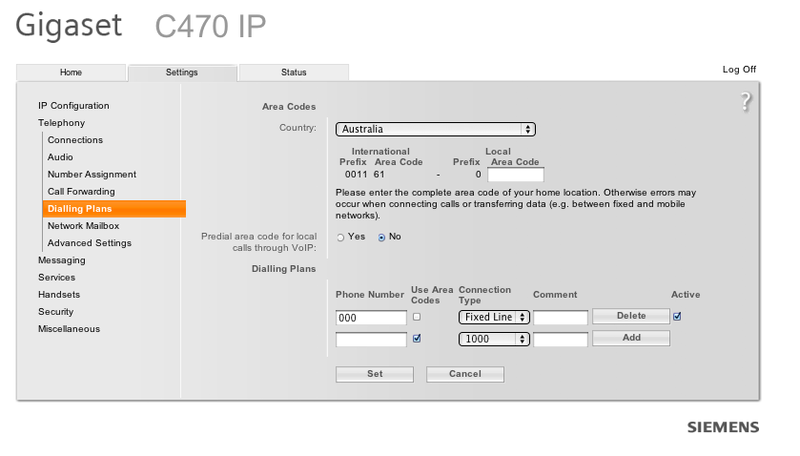 This is an example on how to route 000 calls via your fixed line. Whilst in a call push the options key and select External Call from the menu. Next enter the phone number or extension you wish to transfer the call to followed by send. Once the other party has answered the call you can push the R key to transfer the call. Please note that if you are transferring to another handset registered the same base station you will have to perform an internal transfer instead. You can usually do this by pressing the INT key, dialling the internal number of the person you wish to transfer the call to and pressing OK. Once the other party answers, press the end call key to transfer the call.